"Romance and mystery merge in this suspenseful tale inspired by Shakespeare's The Merchant of Venice. Venice in 1602 is a vibrant and charming city. Yet beneath this splendor lies a sinister underworld in which murderous pirates and conniving noblemen have woven a tangled network. Along with his daughter, Celia; his clerk, Ned; and his sister, Mistress Bess Quickly, Master Ashby, a prosperous merchant, sets forth from London to Venice to investigate the pirate attacks that have been plaguing English ships. But the group's mission turns out to be far more than they bargained for when Ashby is beseeched to find Sarah Tedeschi, a Jewish girl who has vanished from the Venetian Ghetto after being accused of witchcraft by the powerful Countess of Montemoro. Is Sarah's disapperance somehow connected to the pirate attacks? Nothing is what it seems as Ned and Celia uncover secrets that have been hidden for far too long. " It feels like forever since I've read historical fiction. 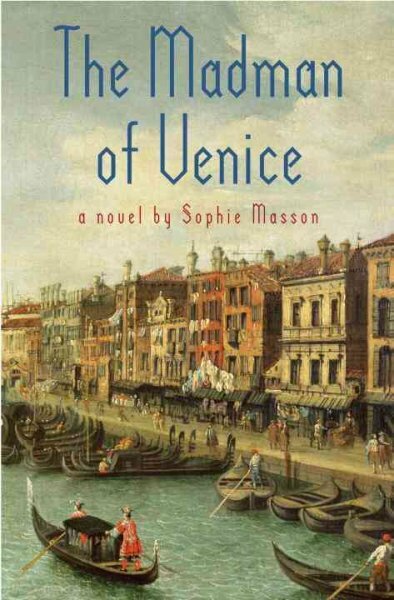 The Madman of Venice is part mystery, part romance, two parts Shakespeare, and really well done. The setting. I really, really want to see Venice and its architecture, canals, gondolas, creepy madmen hiding in the shadows. Yes, even the madmen, because even they have stories, and sometimes the stories break your heart. Celia, the daughter of Master Ashby, is stubborn, mouthy, and maybe my favorite part of the whole story. The girl knows what she wants and doesn't let anyone get in her way. Grant it, sometimes she jumps in without thinking, but her heart is always in the right place. The story was really fast paced. That's not necessarily a bad thing, but with so many names, plots, places, and general chaos, fast paced can be difficult to keep up and the story can feel really rushed. There were a lot of coincidences that were a bit too convenient. And the story was predictable. There was a bit of a twist at the end, but the bulk of the story was really revealed at the beginning. This was a random, pull-off-the-library-shelf read. Those are sometimes the best. Apparently Sophia Masson has over twenty books published, so maybe I'll look up another and give it a try.